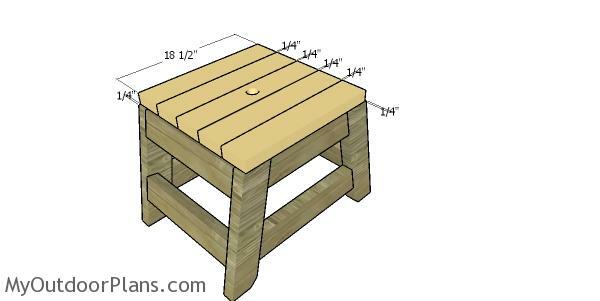 This step by step diy project is about 2×4 side table plans. 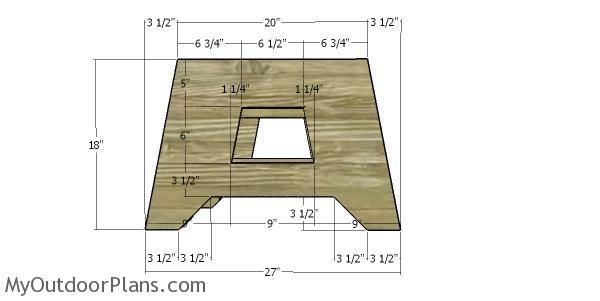 I have designed this side table so you can build it with just 2x4s and 1/2″ plywood. This side table has a super simple yet elegant design and it features a sturdy frame. 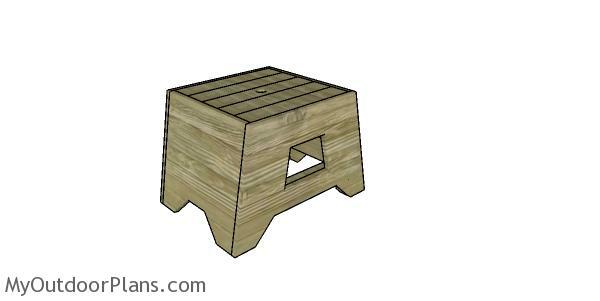 You can use regular pine for this side table, or you could invest in weather resistant lumber. You could also cut out a hole in the top of the side table, so you can fit a large outdoor umbrella. Before starting the actual construction you should study attentively the local building codes, to find out whether you need a building permit and if there are some restrictions for your project. Choosing the right location for your deck is essential, so make sure you check if there will get enough light or if it will add character to your property. Using weather-resistant materials is also important, so buy at least pressure-treated lumber. Make sure you follow me on Facebook to be the first that gets my latest plans and for some other exclusive content. Also, follow me on Pinterest to get many ideas for your backyard from all the internet! See how you can Support Me with no extra costs to you. I am also super active on Instagram! The first step of the project is to build the legs for the side table from 2x4s. Mark the cut lines on the slats and then get the job done with a saw. Smooth the edges with sandpaper. The next step of the project is to lay the legs on a level surface. Use 2×4 lumber for the side supports. Make angle cuts at both ends of the supports and then drill pocket holes. Align the supports to the legs and leave no gaps between the components. Insert 2 1/2″ screws to assemble everything together tightly. After building the sides you need to install the supports. Cut the supports from 2×4 lumber and then drill pocket holes at both ends. Insert 2 1/2″ screws to assemble everything together tightly. 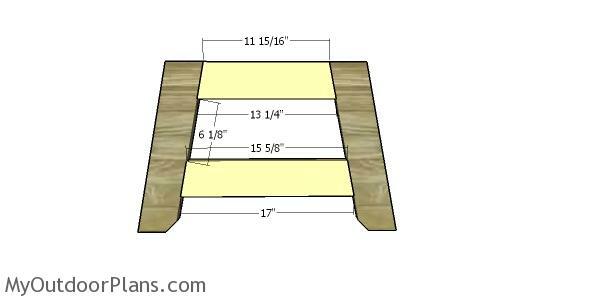 Attach the 2×4 slats to the top of the side table. 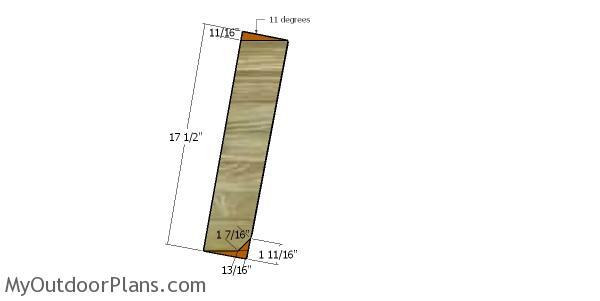 Place a piece of 1/4″ plywood between the slats to create even gaps. Drill pilot holes and insert 2 1/2″ screws to lock everything tightly. 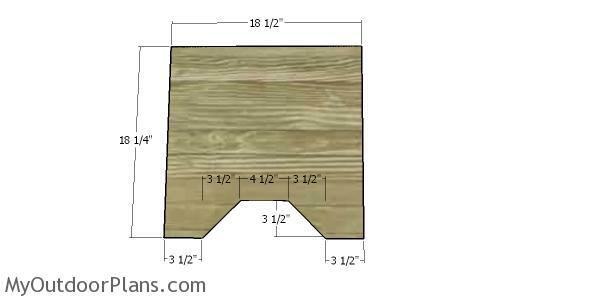 Use 3/4″ plywood for the end panels. Mark the cut lines on the plywood and then get the job done with a circular saw. 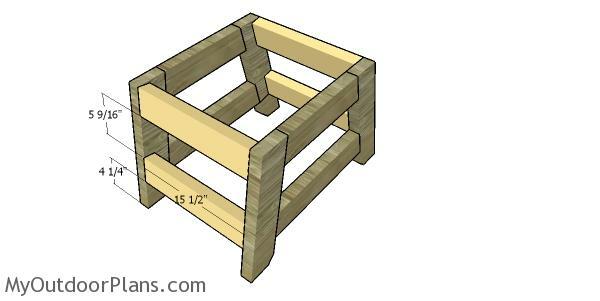 Attach the panels to the frame of the side table and then insert 2 1/2″ nails to lock them into place tightly. Use 3/4″ plywood for the side panels. Mark the cut lines on the plywood sheet and then get the job done with a saw. Smooth the edges with sandpaper. Align the edges with attention and insert 2″ nails and glue to lock them into place tightly. Last but not least, you need to take care of the finishing touches. Fill the holes with wood putty and then smooth the surface with 120-220 grit sandpaper. 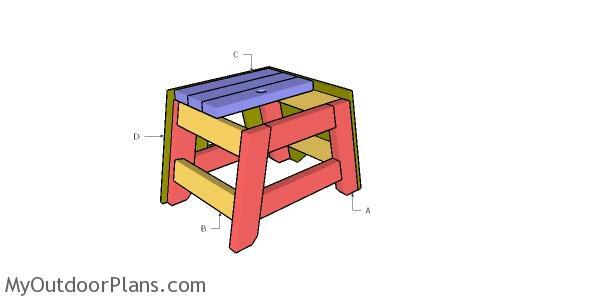 Apply a few coats of paint or stain over the components to enhance the look of the side table. 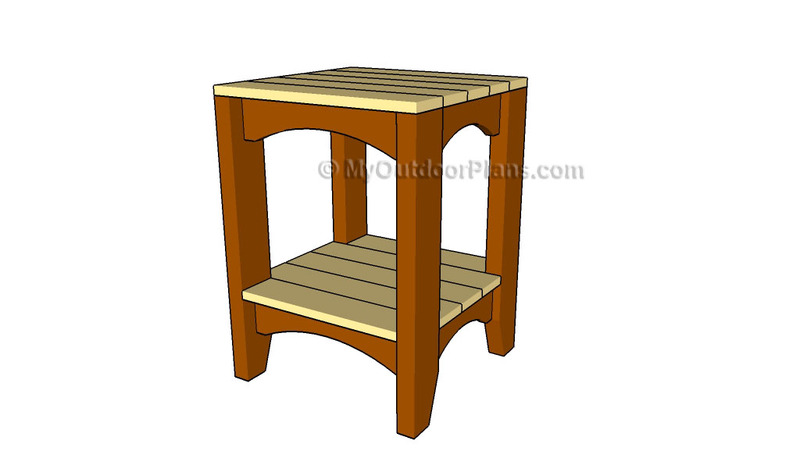 This project was about 2×4 outdoor side table plans. If you want to see more outdoor plans, we recommend you to check out the rest of the projects. Don’t forget to share our projects with your friends, by using the social media widgets.